Give a new name to your theme by replacing all the instances of fordson with new theme name. Open layout/columns2.php file and add the following code to divide the dashboard main content area in 4 columns. 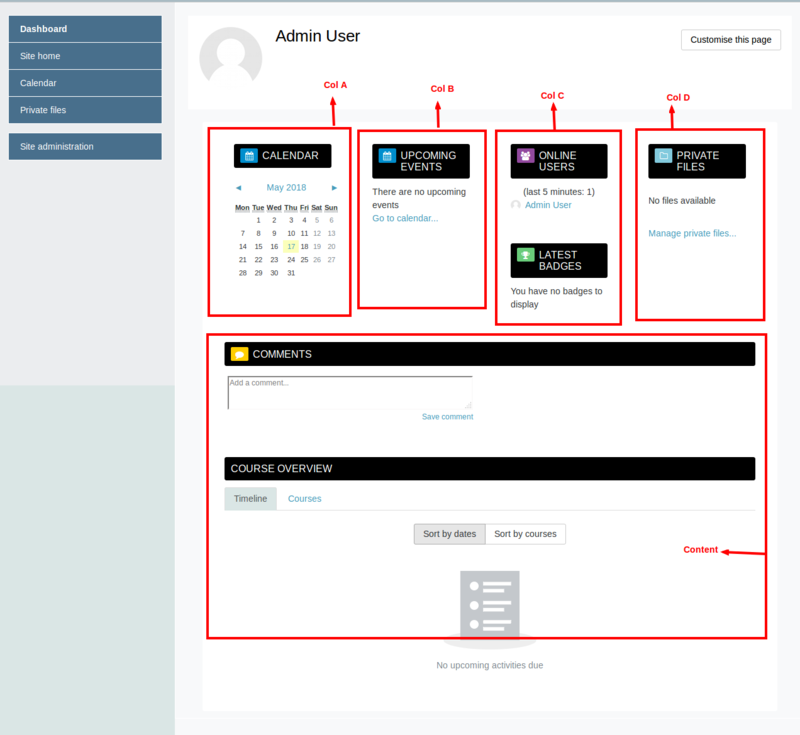 //columns2 template will be used from all of the templates for dashboard and the structure will be defined in it. Open templates/columns2.mustache and add the following html in file after the header. 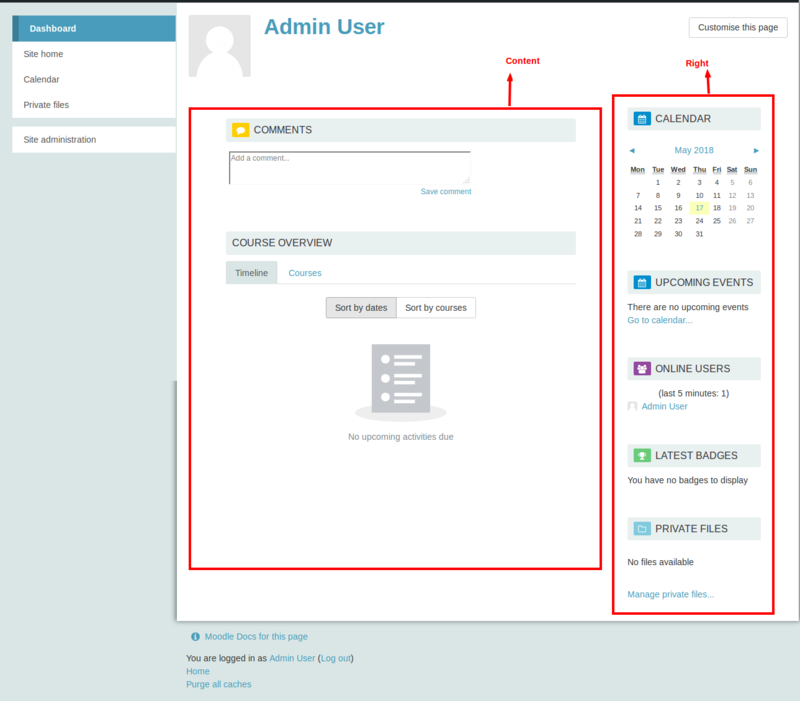 Now moodle dashnboard will be divided in 4 parts and the user can drag and drop the blocks in-between them. As you can see in the before screenshot there are only two regions : Content and right. In the after screenshot there are 5 regions: col A, col B, col C, col D and Content. You can further divide the dashboard in any number of regions according to the needs.